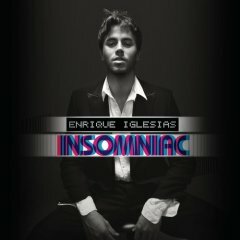 Home Enrique worked with Max Martin, Rami, Arnthor Birgisson and Kristian Lundin for his new album Insomniac. Check out the bio section of his official website: http://www.enriqueiglesias.com/enrique/. Alexandra 10 June 2007: I bought Insomniac yesterday and while the song "Alive" didn't make it nor any other songs by Max Martin, the album has songs by Rami, Arnthor and Kristian Lundin! Lukasz Gottwald 6 October 2006: Niklas from Sweden emailed re some information about Enrique! Enrique has recorded a song called Alive with Max Martin, Rami and Arnthor Birgisson published by Murlyn Music. Thanks! I was beginning to wonder what was going on with Enrique! 15 BC Jean 3. Do You Know? (The Ping Pong Song) Sean Garrett, Brian Kidd, Enrique Iglesias. Produced by Sean Garrett and Brian Kidd. 18 Britney Spears 5. On Top of You J. Austin, M.S. Eriksen. T.E. Hermansen, Enrique Iglesias, H. Rustan. Produced by Stargate.